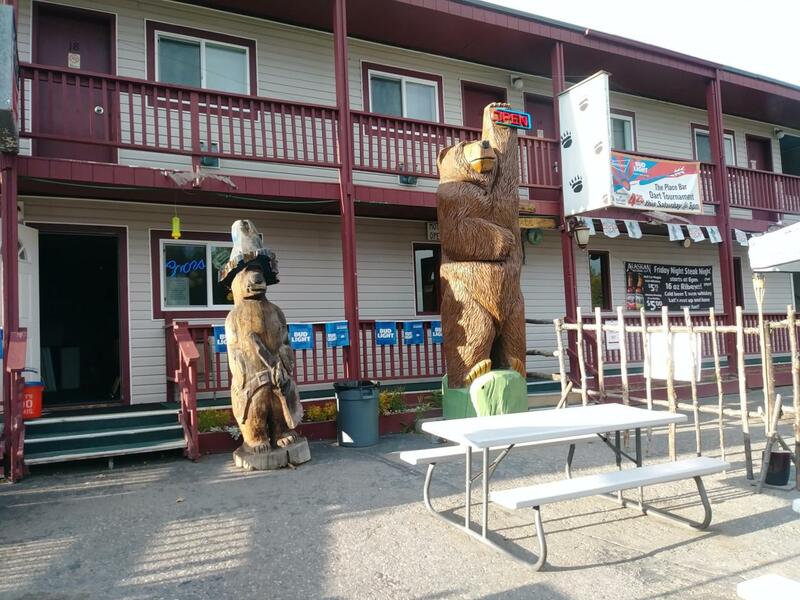 The Place Motel Bar & Grill is a 15 room motel with a bar, commercial kitchen and 14 space RV park located in North Kenai, Alaska. All rooms have been updated with new carpet, paint, trim, natural gas heaters, light fixtures, toilet, room interior security lock, blinds, door handle, sheets, pillows, comforter, blanket, and towels. A new dual tank water softener was also installed for the motelsmotels water system. The bar has received new laminate flooring on the dance floor & bar area, band stage, new carpet in the remaining bar & dinning area, new heaters, bar extension with new formica, two new couches, 3 kegerators adding 6 new taps, 3 new pulltab boxes, paint, sound bar, and 50" flat screen. In the Kitchen the ice machine was repaired, new XL freezer, new commercial dish washing faucet, serviced cook top and Ansul fire system, microwave, silverware, commercial coffee machine, and extinguisher. Outside in the beer garden a new fire pit was installed and a 20'x8'x8' smoking tent with propane heater. The RV spots received 14 new fire rings. As a whole the motel received all new exterior locks/door handles with master keys, new wifi routers, XL washing machine, 2 dryers, new roof, and 2 new vacuum cleaners. Installed an 8'x20" LED sign next to the road, and advertising in Kenai Chamber tourist magazine & at the Kenai airport. Locate only 8 minutes from the mouth of the World famous Kenai River, and 4 miles from the proposed Nikiski LNG site which will take 4 to 5 years to build and require about 3,000 construction workers with approximately 500 permanent positions.